As we talked a little further, the notion really resonated. How often do we wait in schools for the perfect time, the perfect conditions, the perfect budget, the perfect student? While this plan might work if we were building things on an assembly line, we’re dealing with humans and all of the frailties – theirs and ours – contained therein. We haven’t got the time to wait for perfect before intervening, both remediating and extending, in the lives of students. The notion of Ready, Aim, Fire seems to get stuck at Ready, Aim, wait, there’s a budget announcement, wait, there’s a new program, wait, there’s new kids, wait, these parents aren’t as supportive as our previous ones, wait… And we never get to the action of actually intervening in a timely fashion. Perhaps it ought to be Ready, Fire, Aim as Peters and Waterman suggested in 1982 and expanded on by Fullan in 2011. Our work with educators reminds us that we are working with thoughtful, intelligent people who have the students’ best interests at heart most often. If a plan is put in place based on the best information currently on hand, then let’s Fire. At the very least we’ll get data that we can act on. Did we get the right intervention as measured by progress towards the target at a rate that’s adequate? If we didn’t, what did we learn about the intervention? Was it frequent enough? Long enough? Did the student possess the skill level to realize the full impact? Did the adult? We need to accept that sometimes our best-laid plans may go awry. If we pledge to learn from that, we’ll still be further ahead than the long delays that have resulted in learning gaps for students not being closed but instead being increased. 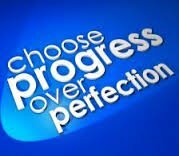 Let’s aim for progress and work on perfecting that as we are doing the work.